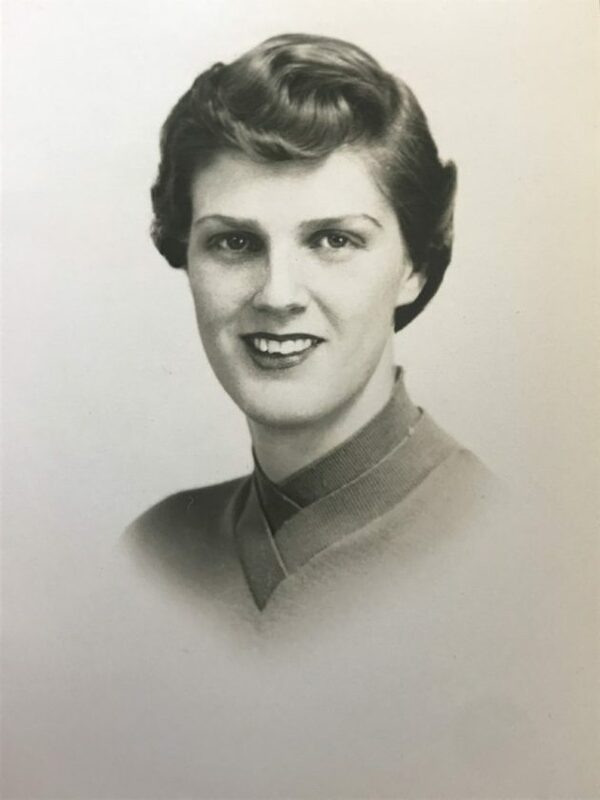 Mary Jo Schlicker Dudley of Bend, Ore., died Nov.5, 2018, at age 84. Mary Jo was born Feb. 1, 1934, in Westfield, N.Y., to William and Maryetta (Gleason) Schlicker. She attended Hiram College for one year before joining American Airlines as a ticket agent. In 1954, Mary Jo married Lawrence “Bud” Dudley and they raised three children while living near Chautauqua and Goshen, N.Y., Beatrice, Neb., Columbia, S.C., East Longmeadow, Mass. and finally, back to Lakewood, N.Y.
Mary Jo loved to travel with her husband but felt most at home staying at the Athenaeum Hotel, visiting her Gleason cousins in Open Meadows, her sister Miriam Spears and family in Olean and her many friends in Chautauqua County. She is predeceased by her sister, Miriam and survived by her sister, Patricia; children: Tim (Lindy), Ann (Brad) and Susan (Michael); grandchildren Nathan, Ryan, Kathryn, Michael, Jake, Sarah, Jordan, Rachel, Emma and Nolan. A memorial service for Mary Jo will be held Dec. 8, 2018, at Hurlbut Memorial Methodist Church at 11 a.m. All are welcome to attend. Contributions in Mary Jo’s honor may be made to the Hospice Center of Bend or The Chautauqua Fund.